John Constable, one of the most beloved of British painters, is renowned for his poetic approach to nature and his extraordinary use of broken color. In this beautiful two-volume set, the dean of Constable scholars, Graham Reynolds, discusses all the paintings and drawings the artist produced between 1790 and 1816, both before and after his breakthrough into the original style that is the basis of his fame. 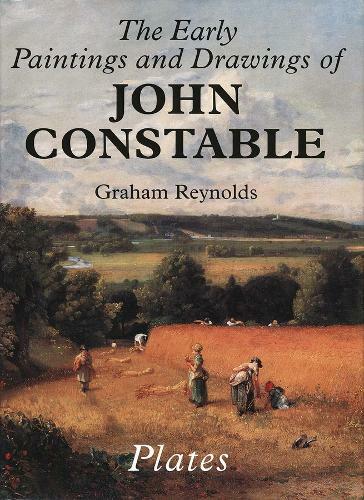 Together with Reynolds's award-winning The Later Paintings and Drawings of John Constable (1984), the books are a catalogue raisonne of this artist's monumental oeuvre. The two volumes, one of text and one of plates, describe and reproduce 1370 paintings and drawings in chronological order. They begin with Constable's juvenilia and tentative experiments before he went to London in 1799 to become a professional artist. Next are some lesser-known works-elegant figure studies of girls, Constable's first portraits, and his Lake District watercolors. Finally are the works after 1808-Dedham Vale: morning, Flatford Mill from a Lock on the Stour, A Summerland, The Stour Valley and Dedham Village, and the recently rediscovered The Wheatfield-works that made Constable a major force in British landscape painting. The volumes also include Constable's numerous sketches of his homeland around East Bergholt and Dedham from this period, drawings on which he based his later masterpieces. An appendix records and reproduces, as addenda to The Later Paintings and Drawings, 94 works produced between 1817 and 1836 that have come to light since those books were published.